Madeleine Penman is Mexico Researcher at Amnesty International. 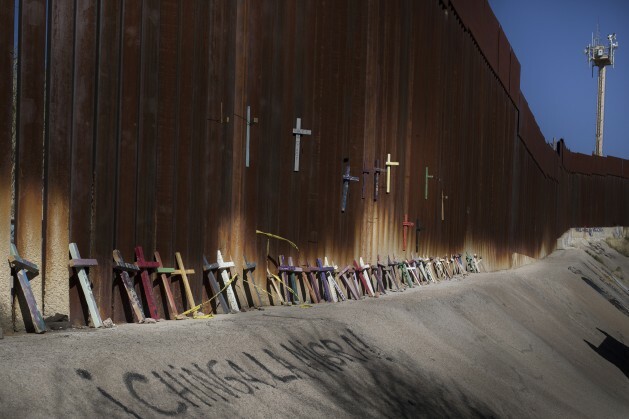 While it has been one of the most talked about issues since last year’s USA election campaign, the stretch of land that separates the USA and Mexico now lies eerily quiet. The stream of men, women and children US President Trump predicted would be flooding the area are nowhere to be seen. There is no one working on the “big, powerful wall” Trump promised to build along the entire length of more than 3,000 kilometers of the border. The 5,000 additional border patrol agents that are meant to be “increasing security” in the area have yet to be deployed. What we recently witnessed along the border, however, is increasing confusion and utter fear. As many advocates described it “the quiet before the storm”. This is not a new situation, things have been building up in the area but they are likely to get devastatingly worse. Many of these people are seeking protection as they are fleeing extreme violence in their home countries. Because although President Trump’s promises have not yet been fully acted upon, the machine has been set in motion, building up on years of bad policies and practices along the border. The potential impact the most recently enacted border control measures will have on the lives of thousands of people living in terror of being sent back to extreme violence is becoming notable. Since the start of his campaign for the Presidency, Donald Trump has repeatedly described migrants and asylum seekers, particularly people from Mexico and Central America, as “criminals and rapists”. He has failed to acknowledge the plight of the thousands of women, children and men who live in “war-like” situations in some of the most dangerous countries on earth, particularly El Salvador and Honduras, and who are effectively forced to flee their homes if they want to live. In the initial raft of Executive Orders passed by President Trump during his first days in office, the administration effectively sought to close the borders to immigrants, including asylum seekers looking for a safe haven in the USA. The Border Security and Immigration Enforcement Improvements Executive Order of 25 January aims at ensuring that the process of detaining and expelling migrants and asylum seekers is as swift as possible – fully ignoring the fact that some of these people face mortal danger if sent back to their countries. Furthermore, since the order was issued, it appears border agencies have been left in the dark about how to implement it. We arrived in Arizona just two days after the Department of Homeland Security had released its 20 February Memo detailing how to roll out Trump’s border security executive order. We were told that at least one high-level member of border control had received the memo the same time as the press had, and was none the wiser as to how to implement it. Each year, hundreds of thousands of people from Central America and other countries around the world cross Mexico’s land border with the USA to seek safety and a better life. As well as Mexicans, many of these people are seeking protection as they are fleeing extreme violence in their home countries (including El Salvador and Honduras). But we received multiple reports and evidence that rather than allowing people to enter the USA and seek asylum in order to save their lives, US Customs and Border patrol are repeatedly refusing entry to asylum seekers all along the border. From San Diego, California to McAllen, Texas, we were told that even before Trump arrived on the scene, from as early as 2015, border agents have been known to take the law into their own hands by turning back asylum seekers, telling them they cannot enter. This is not only immoral but also against international legal principles the USA has committed to uphold and USA law itself, which stipulates the right and process to ask for asylum. One human rights worker on the Mexican side of the border with Arizona, told us how a border patrol agent scorned her for accompanying Central Americans to the border to ensure that their rights were not violated. “How do you feel, aren’t you ashamed to be helping ‘terrorists’?” she was asked. Crossing into the USA without papers means risking your life, as it makes people more vulnerable to gangs and drug cartels who control the border area and are primed to profit from people in desperate situations. We have received many reports that people smugglers have hiked their rates dramatically since Trump was elected. US Secretary of Homeland Security John Kelly recently announced that since November 2016 the rate charged by people smugglers in some areas along the US southwest border has risen from US$3,500 to US$8,000. Yet what Kelly fails to recognize is how this will put people’s lives at further risk. People will not stop fleeing their countries and moving north in search of safety, despite Trump’s border control measures. Criminal groups will only gain more power once the border wall is built, charging vulnerable people fortunes to leave their country and make their way to the USA. Multiple questions remain regarding the USA’s plans to further militarize its southern border and deny entry to asylum seekers. One of the biggest questions involves Mexico’s role in this equation. In recent weeks, Mexico’s Foreign Minister Luis Videgaray announced that Mexico would not receive foreigners turned back from the USA under Trump’s 25 January Border Control Executive Order. Yet no one we spoke to on the border understood what this would look like in practice. Would Mexico start raids along its border? Would it carry out more deportations? Or, would Mexico’s refusal to host migrants lead to even more people locked up in immigration detention centres on the US side? Or, would we see ad hoc refugee camps along the Mexican side of the border as asylum seekers wait for their claims to be heard in US immigration courts? Already acutely vulnerable people would be exposed to further harm and human rights abuses by both criminal groups. Amnesty International spoke to four Mexican government officials stationed at border cities, and it was evident that confusion reigns. “We are going along with our work in a normal way,” one official in Tamaulipas told us. “I don’t think we have any plans regarding how to receive those being turned back,” another official in Chihuahua said. In this climate of uncertainty and fear, migrants and asylum seekers are more vulnerable to coercion and violations of their rights to due process. 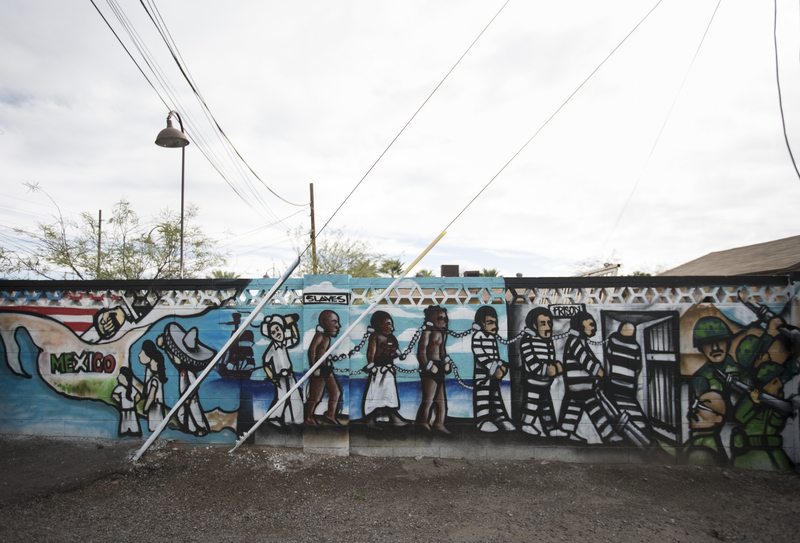 Fearful of a USA government that appears quick to detain and deport them, and uncertain of their situation while on Mexican soil, the desperation of migrants and asylum seekers and the abuses they are forced to endure, are bound to rise. What is always missing in these plans, has to do with what brings people over the boarder to begin with, “employment”. If the U.S. pooh-baas were actually honest and really wanted to find a solution, then they would start with the businesses in the country – U.S. – that demand and employ those border crosser’s, by penalizing with financial fines, along with jail time for those in charge. This is one very big reason that the wages in the U.S. are kept low, discouraging home grown employees, opting out for the illegals instead. This problem has been around since the last century, if not before. The sad truth, from the top down, this is the forte, but the pooh-baas point the finger at the illegals, not the real people who benefit from the labors. The rich have always taken advantage of the poor, because the can. Consider this, how can a rich man condemn the poor man for fulfilling the rich mans demand?